While the outcome of my case remains unclear, a recent court decision does not bode well for my future. 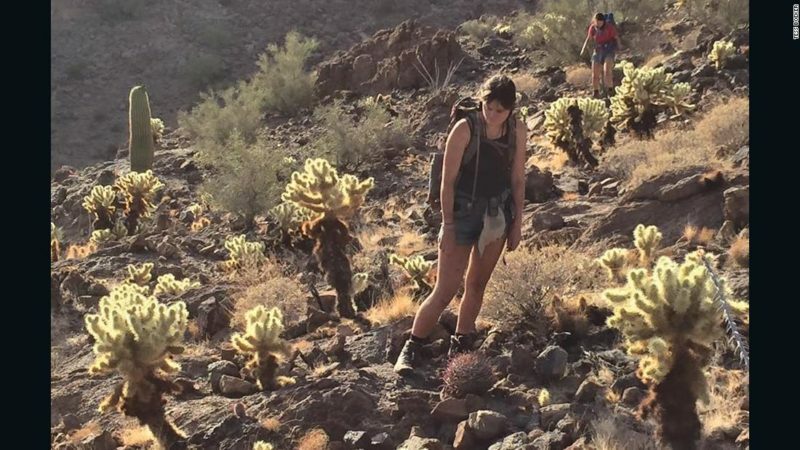 This month, four volunteers, also with No More Deaths, were found guilty on misdemeanor charges of “Operating a Motor Vehicle in a Wilderness Area” and “Abandonment of Property.” The “property” referred to was water left for migrants dying of thirst in the Cabeza Prieta. These trials are part of the Trump administration’s escalation in the targeting of humanitarian aid work in the borderlands. Rather than respecting our right to provide relief to migrants who have traversed thousands of miles in search of better lives, the administration is criminalizing our conduct in an area that government has historically done little to preserve. And to be clear, while undocumented individuals have been crossing the border for years, the Trump administration has made the challenge of assisting that much harder. No More Deaths has worked openly since 2004, and previously enjoyed a friendly relationship with the local US attorney’s office, and were told by an assistant US attorney that he was not interested in prosecuting our volunteers. This changed in 2017. The current US attorneys have aggressively pursued charges against our volunteers, including bringing felony charges of “harboring” against one of our long-term volunteers, who provided food, water and clean clothes to two men from Central America. The irony of the charges against me is that I fully believe in the importance of protecting wildlife and wild spaces. Prior to moving to Arizona, I worked with the Montana Conservation Corps, and spent much of my free time exploring wilderness areas. I came to love the feeling of solitude in the backcountry. But upon hearing about No More Deaths from a friend, I went to volunteer for a month in 2015. There, No More Deaths explained how remote terrain was being weaponized against people crossing the border, many of whom were fleeing poverty and violence. More specifically, since the mid-1990s, US border enforcement strategy has been to heavily concentrate enforcement in urban areas where people traditionally have crossed, thereby intentionally funneling migrants into remote and dangerous terrain, like Cabeza Prieta. After witnessing some of the suffering taking place there, I relocated to Tucson to dedicate myself to humanitarian aid work. While some might argue that Cabeza Prieta could evoke an awe similar to that inspired by Montana’s vast wilderness — with its towering Saguaro cacti, flat expanses against jagged mountains and vivid sunsets — the truth is much more complex. This is also the same land that Border Patrol agents now traverse daily, riding ATVs, driving trucks off-road and flying helicopters to police the border. And yet, the prosecution, in the trial of my four peers, argued that it was bringing charges in an effort to protect the “pristine, untrammeled” land. So, why do humanitarians like me need access to Cabeza Prieta? Let’s take a look at the numbers. In a week of exploration on the refuge in 2016, volunteers with No More Deaths recovered four bodies in five days. Then, in 2017, the bodies of 32 people were recovered on the refuge. And given the challenges of accessing this vast wilderness, there are surely many more who have died and have yet to be discovered. While the US border enforcement strategy intended to use the risk of death as a “deterrent” to unauthorized migration, it has actually caused a crisis of death and disappearance. And when humanitarian aid workers try to access maintained roads to recover the dead and prevent the deaths of migrants, land managers selectively weaponize the mandate of “wilderness conservation” to keep us out. In one of the trials last week, I watched as Juliette Fernandez, regional fish and wildlife refuge manager and wilderness coordinator, testified on the importance of wilderness being a place where you can experience nature with little chance of encountering another person. What truth does this aspiration hold in a landscape where you may encounter the body of someone who has died? Someday, I hope to walk out into the wilderness in southern Arizona, without the fear that I will encounter someone in distress, or the body of someone we were too late to help. I hope to walk out without helicopters circling overhead and armed agents driving past. I hope to feel at peace in the beauty of the Sonoran Desert. But I know this will only happen when we no longer have a militarized border designed to funnel people into this perilous terrain. Until that day, humanitarian aid is vital to the preservation of human life and must not be criminalized.